Customer Intent Has Changed. Have You? With mobile capabilities in hand, consumer interest can shift to intent almost immediately. In the past, brands were nowhere near customers when their journey transitioned from interest to intent. Maybe my dad became interested in a pair of great new golf shoes he saw in a magazine, but he didn’t intend to buy them until he saw a buddy wear them on the course. It might be days before he had a chance to drive to the store. Then we had desktop computers, and brands could put themselves closer to the moment that people moved from interest to intent. Maybe before buying those golf shoes, my dad actually went home, powered up his desktop and searched for a nearby store to see where he could buy those shoes at the best price. This behavior gave brands new opportunities through the measurable customer journey, with a massive digital advertising and marketing industry built to take advantage of it. Today, it’s me on the course with my dad, and if he likes my golf shoes, I can text him a URL for them and he can buy instantly, or go read reviews about them, all before finishing out the hole. The purchase journey can become almost instant. In other words, intent has changed. With mobile capabilities in hand, consumer interest can shift to intent almost immediately. And intent can become a purchase any time, anywhere. Purpose, goal, objective, target. Synonyms of intent make it clear – customers with intent are in control. This evolution is an enormous opportunity for brands. Forrester finds that mobile phones will be used in some way for one third of all purchases in the US in 2018, equalling $1 trillion in sales. Brands can be there when it matters, but to succeed, they have to change. Brands started with the traditional marketing model: Create a path for a customer, from brand advertisement to the store. Digital taught brands to maximize messaging for each customer “touchpoint” in a more complex journey, from ads, to email, to search to store. Mobile represents the next leap: Marketers must be present when consumers are discovering, researching and purchasing wherever they are. 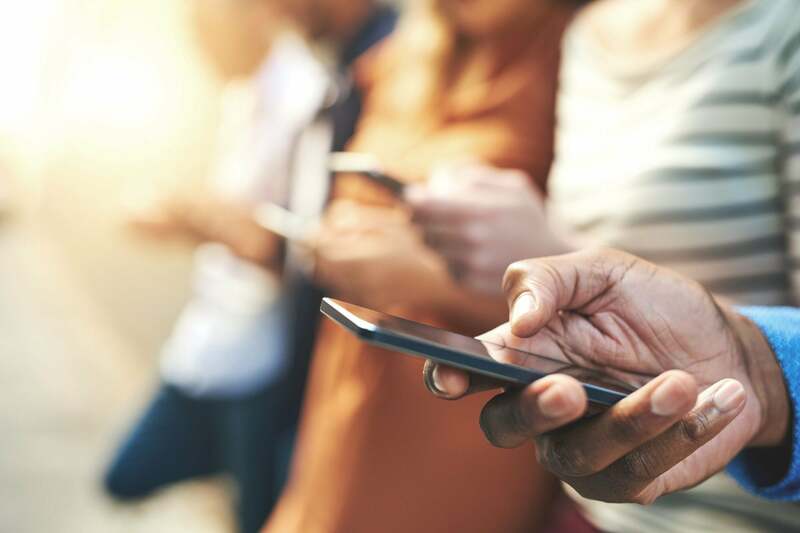 Bain and Company research finds that people consume 25 percent of their media on mobile, while marketers only spend 13 percent of their budgets on the channel – brands are already underestimating the importance of mobile. But, the bigger issue is that “much of that advertising isn’t suited to the medium.” Consumers have shorter attention spans for ad messages, control their experiences more actively, and are primed to make purchases more immediately. Discovery: Refrain from repurposing ads from digital media. Instead, determine how a brand is relevant in a customer’s life. Use search and location information to understand a consumer’s context. Partner with the critical apps that customers use on a regular basis to get in their virtual path. Treat social media like a physical element of their lives, not like a magazine. Most social media pictures are posted on mobile phones while a consumer is on the go. Research: “Research mode” is a critical step in the intent-driven customer journey. The first encounter a brand might have with a consumer is while she’s in the aisle at the store, deciding between two brands, or when she’s reading a review of your product and the alternatives. Research is more than Google search, ratings and reviews. Research mode is an opportunity to offer a coupon to attract a new customer, to ask if they’d like to talk to a customer service rep, and use insights to improve future interactions. Purchase: If a customer buys something, it’s the beginning of a relationship, not the end of a transaction. Successful brands reset the “discovery” process at the time of purchase using the new insights to make things personal – with a specific offer if they offer a product review, personalized messages that recommend additional products, or a checkin to make sure the consumer likes the product. In the mobile model, the marketer understands that the consumer is going to buy what they like, at any time. In this way, brands interacting with customers become more like a hotel concierge. As a guest experiences a hotel for a few days, they assume the concierge knows they sleep late or that they like to eat poolside. The hotel staff is there to make a guest happy, and that requires a personal understanding of a consumer’s intent. It’s not surprising that hospitality brands like Lufthansa, Singapore Airlines and Ritz Carlton lead the pack in using consumer data to deliver personalized experiences throughout the discovery, purchase and experience process. Ritz Carlton uses their mobile app not only for booking and checking in, but also to personalize a guest’s stay with location-specific offers and QR codes to unlock new experiences. Other brands can learn from this “hospitality” mindset, or from Omotenashi, the Japanese art of anticipating and fulfilling people’s needs in advance. Rather than blunt force marketing tactics, marketers should obsess over the optimal experience for the consumer. To personalize a mobile experience, and accommodate customer intent, Shoedazzle puts recent searches for shoes through an algorithm and packages a custom boutique of ideas for the customer. The content is personalized for an intent to purchase, but if someone did buy shoes somewhere else, the information is still relevant and fun to browse. Brands can view mobile as a fisherman looking at a rushing river full of fish. If they wade in, they have a fantastic opportunity. But like fish, mobile consumers move fast, and brands need to be ready. Consumers already expect highly personalized experiences. BI Intelligence reported that 54 percent of consumers expect a personalized discount within a day of sharing information with a company, while 34 percent expect it within an hour. Soon, many consumers will expect immediate satisfaction. For brands, the best approach is to be there at the right time as the consumer moves from interest to intent to purchase and back again. Brands must take the time to live the life that a consumer lives, see where they go, when they discover, research and buy, and why. The days of brand advertising are waning, and a new era of intent-based marketing is here. It’s time for brands to make the change.